There are so many diets/plans to lose weight and it can easily get overwhelming and confusing. Like with any other topic, when it comes to diets don’t believe everything you hear! I don’t believe in any fad diets like “the cookie diet” or “the grapefruit diet”. Been there, done that! And what has been the result at the end? More weight gain. Now instead of dieting I eat healthy continuously. 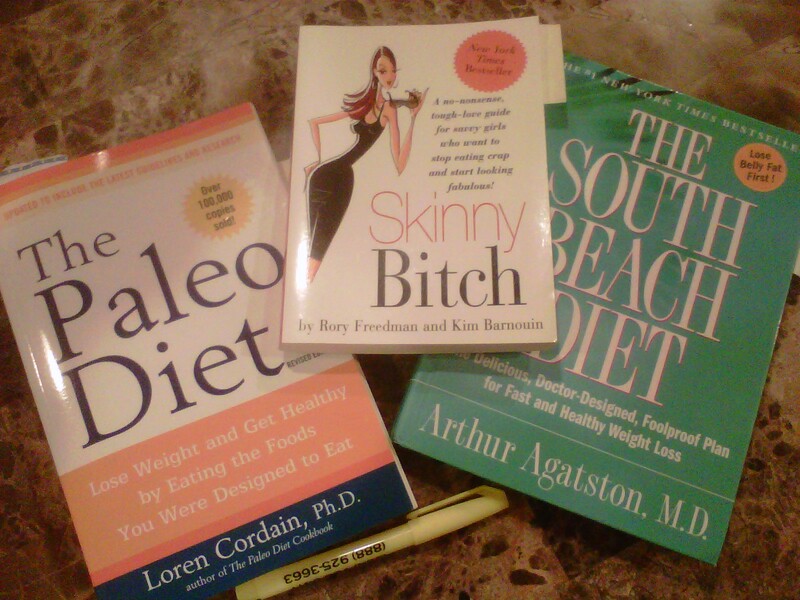 I do my research and read books, online articles and learn what and how foods affect my body. Here are some of the books I have read lately. I tend to pick and choose from each one and do what’s best for me according to my activity level. Learn for yourself and understand how our bodies work!